La Atalaya Nocturna: Captain Marvel, Protector of the Universe (V): Captain Marvin in Where Stomps the Scent-ry! 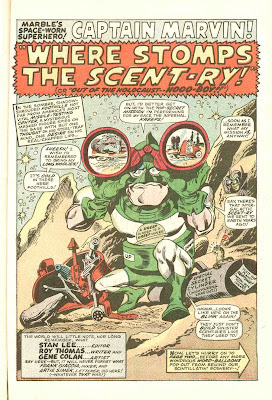 Captain Marvel, Protector of the Universe (V): Captain Marvin in Where Stomps the Scent-ry! En la revista de auto parodia de Marvel "Not Brand Echh!" 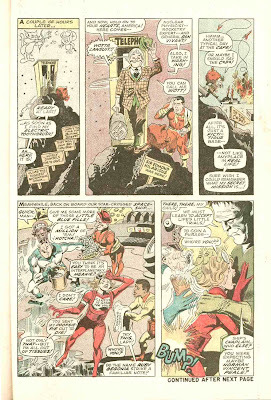 se publicó está parodia de las primeras aventuras de Mar-Vell contra el Centínela Kree, en este caso con "Captain Marvin: Where Stomps the Scent-ry!". 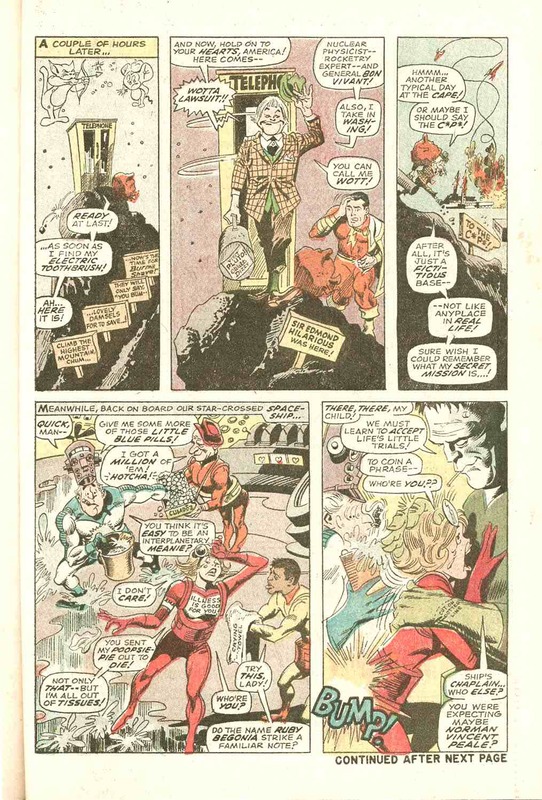 Fue en su número 9 (Mayo de 1968), y contaba con los propios autores de los cómics originales: Roy Thomas y Gene Colan. Podéis leer el resto del cómic aquí o aquí. In the magazine of self-parody of Marvel "Not Brand Echh!" 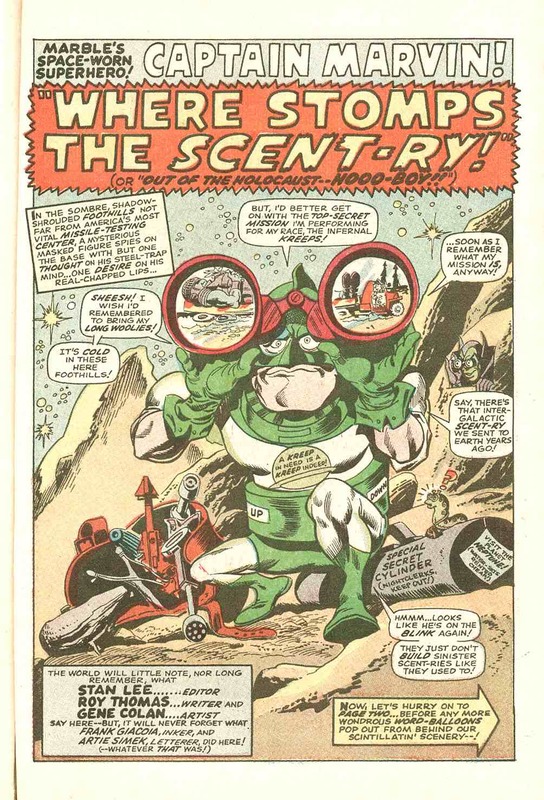 It has been published a parody of the first adventures of Mar-Vell vs the Kree Sentry, in this case with "Captain Marvin: Where Stomps the Scent-ry". It was in the 9th issue (May 1968), and the authors were the same of team as in the Captain Marvel comicbooks: Roy Thomas and Gene Colan. You can read the rest of the comicbook here or here.